Codeta Launch Website Redesign - On the right tracks but not quite there. It’s been long in the making but Codeta has finally launched the redesign of their website. They seemed pleased as punch with it. Quite frankly it needed doing. Although the old site looked good, actually using it was difficult and it was very hard to find the live games you were looking for. The press release summed up the changes. 9th January, 2018 – Stockholm: Codeta, the live table games pioneer, has launched the second stage of its online casino revolution as it looks to give even more power to its players following the complete redesign of its website. The upgrade also includes the launch of several new features, such as tournaments and a powerful search tool that allows players to find games based on sub categories such as supplier, table, slots, live and more. Codeta has also been given a completely new look, which includes different colours (green, red and white) and a change of font. But the operator’s ethos and mantra remains the same; to champion live table games and shake up the status quo. The changes simply make it easier for players to find their favourite games and navigate and access the features and tools made available to them. It also allows Codeta to project its voice even louder. Codeta launched back in 2015 with the aim of becoming the go-to destination for live casino players; the operator does not believe in gimmicks and instead focuses on providing the widest selection of quality live dealer games. 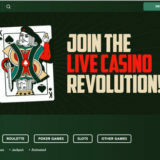 “Codeta is all about delivering the best live casino experience, and to do that we believe in giving even more power back to our players, which we have achieved through our redesign. The Live Games are certainly easier to find now. There are categories for Live Casino software supplier and game type, so you can quickly narrow down that version of Roulette or table you’re after. The quality of the images being used to represent the tables is poor. They look like badly taken screen shots rather than the more glossy studio look we’ve got used to elsewhere. Game categories are also not quite there with a few not displaying the right games. Undoubtedly, these and a few other teething problems will get resolved over the coming weeks. The other disappointing thing is the site doesn’t GEO target. Games and tables are presented to you that you can’t actually play. You do get a message, but it’s still a bit irritating if you’ve taken time selecting something and then can’t play it! But overall the improvement is going in the right direction. 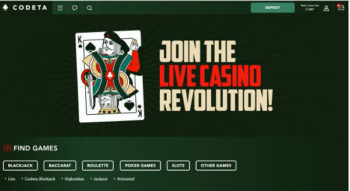 The design probably suits more experienced players better than a new player wanting to play live casino. For a brand touting themselves as a “Live Games Pioneer”, I would have expected more and they haven’t quite demonstrated that so far. The games and mix of suppliers is good and comprehensive, so it’s worth having a look around to see for yourself.